Car bumper scuff damage can not only harm the appearance of your vehicle but also significantly affect its resale value. 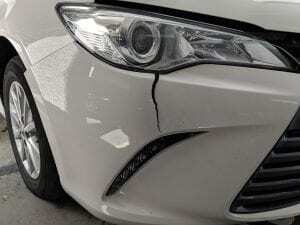 Rather than wasting money on an expensive complete bumper replacement, you can now restore your bumper to pristine condition with our mobile bumper repair service. – we cross-check the manufacturer’s original color code specification to ensure that the color and texture of your bumper is seamlessly restored. 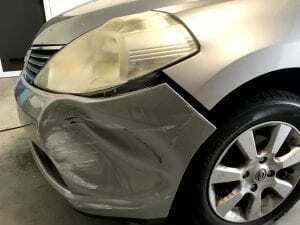 And because we only need to restore the affected areas, bumper repairs carried out by Spectrum Auto Refinishing are extremely cost-efficient to complete. What’s more, all work carried out by our specialists is fully guaranteed and of the highest quality. 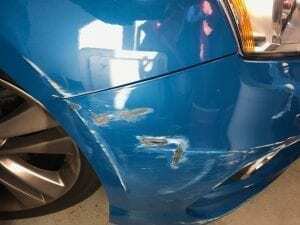 We can repair and paint that bumper scuff onsite, Typically within 3 hours!